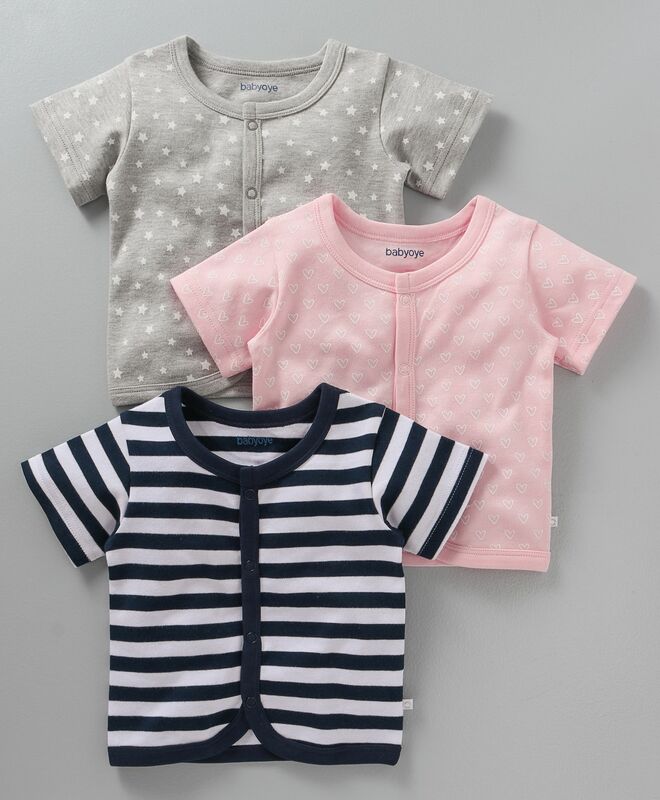 Babyoye presents this set of 3 comfortable half sleeves front open vests for your little girl. Cute prints makes it look stylish. The soft fabric of the vests will keep your child comfortable all day long.